all staff need regular safety training. There is no workplace immune to accidents. Identifying hazards and providing regular workplace safety training for all employees should be standard items on every organisation’s agenda. Just don’t let it be the same old tick a box training, delivered the same old way. This will lead to boredom, disengagement and complacency. Your employees require a reminder of the hazards that exist every day in their workplace and your training delivery method is critical. Interactive, realistic and immersive safety training that utilises technology is the way forward. Keep reading for more tips on how to engage your employees in safety training. 1. Use interactive training and hands-on methods and demonstrations. Safety training requires ‘experiencing’ or ‘doing’ to have a meaningful impact. Training via lecturing is passive and relies heavily on a dynamic presenter to engage and interest employees. The Safety Induction is often delivered using passive methods of classroom lecturing or e-learning ‘death by power point’. Technology that uses interactive and immersive techniques is the way forward in revitalising inductions and online e-learning packages. Multimedia enjoyment and a more active experience played a crucial role in learning outcomes to improve performance. Users were attracted to innovative mobile technologies and this was an opportunity to promote their learning. A tablet’s capability to present high quality multimedia is a factor that can attract users to the road safety training programme. Want to see how Tap Into Safety can make your workplace safety training engaging? Try a free demo today. 2. Present training materials in the order of the steps taken to complete the job. Safety training should be very methodical, presenting all safety knowledge in a sequential order. Doing this helps employees to remember the critical steps as they put them into practice. Train employees in safety content specific to their work area or job tasks. 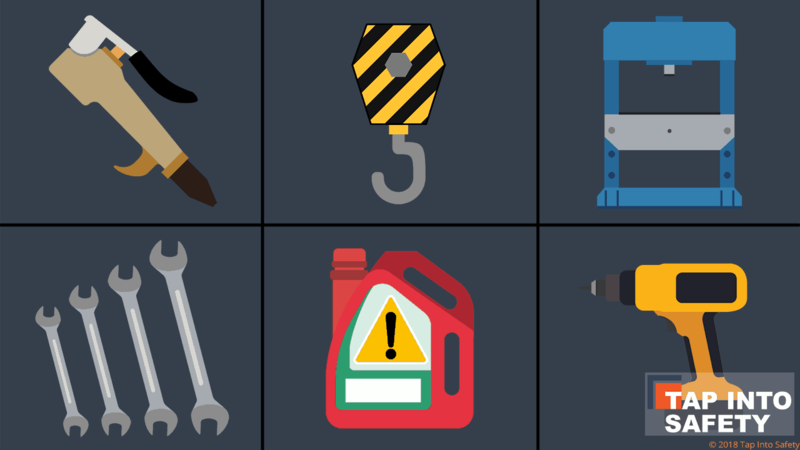 Every job, every machine, every piece of equipment is different and requires a certain set of safety knowledge and skills to use them properly. 3. Train immediately after a workplace incident, injury, fatality, illness or near miss. Audit current processes, make any changes required to address the problem and train employees as soon as it’s appropriate to do so. 4. Advise employees about any new changes to policies and procedures. This is often best done via their direct line manager or by holding regular meetings. A consistent message keeps employees aware of how important workplace safety is to the organisation. 5. Provide employees with additional safety training, when a job or task is exposed to increased risk. This is especially critical for employees who regularly undertake high risk work in varied environments that are subject to change. And even more so for employees who undertake routine tasks who can become complacent and are under-prepared for a change in the work environment. 6. Keep communication open. Employee feedback is important to understanding their hands-on experience with certain safety procedures. It also keeps them involved and helps to encourage ‘ownership’ of the processes. 7. Provide positive feedback. Supervisors should observe employees while they do their jobs and perform their tasks while interacting in the work environment. It’s a good idea to question employees about the safety required to do what they do. This activity both reinforces good practice and identifies gaps in their knowledge of how to do their job safely. Misunderstandings can be rectified immediately through coaching and direction. Safety training must be repeated and reinforced if employees fail to understand and apply their new knowledge. 8. Relate real-life incidents to create a lasting impression. Imagery and storytelling reinforces the safety message. Using immersive and interactive training methods assists in ensuring the safety training content fits with the work environment and task to be trained. 9. Train in bite sized pieces and in short bursts. The attention span of most adult learners is around 20 minutes. It’s important to spread out your training days so your employees absorb and understand the safety training. 10. Offer Q&A discussion opportunities. Posing questions about the way a job or task is performed is a great way to keep employees involved and active in their safety training. It also encourages them to think about the practical use of their suggestions in their everyday work. Workplace training delivery has changed enormously in the past decade. This has been influenced by the heavy use of smart devices, and the changes to the way adults learn and consume information. This has repercussions for safety training because of the importance of the message that this training delivers. Keeping employees safe at work is the right of every worker. Organisations are encouraged to look at interactive methodologies and to consider the time they expect employees to engage in safety training sessions in the light of effectiveness and knowledge retention. 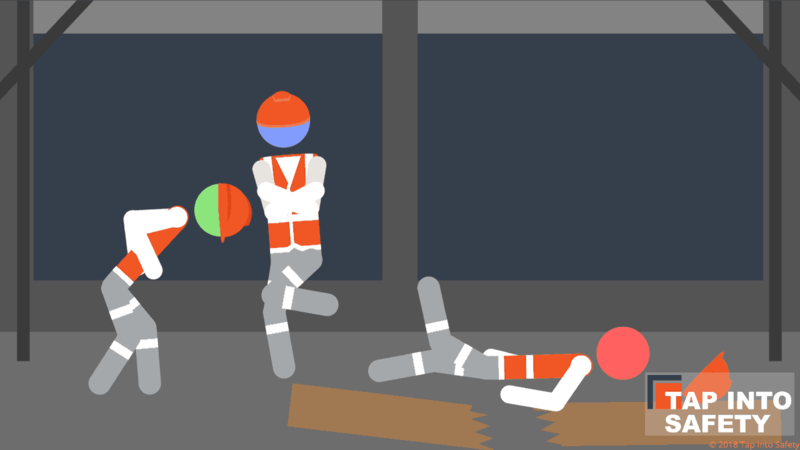 With well-designed, visually pleasing, interactive, mobile solutions that include gamification, Tap Into Safety can work with you to revamp your training to better engage your employees. We use your workplace in photographic, panoramic examples, delivered on smart devices and online in 15-minute or less modules.